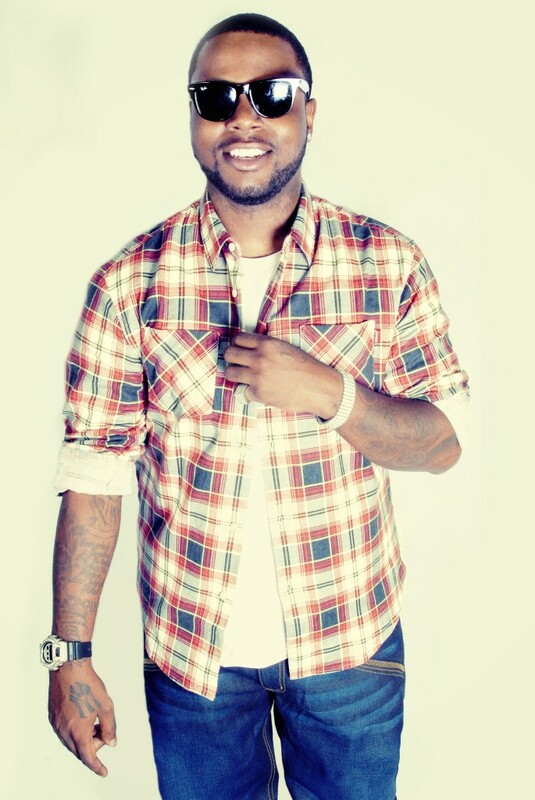 Shout out to Jae Millz for his latest freestyle that he dropped today, on New Year's Eve called Finish The Year Right Part 2. It's a compilation of beats that he tears up with his lyrical flow. You can listen to it below or check out his site here. Another shout out to Millz for ZShock'n in this dope pic he has on his site. I.C.E.D. by ZShock! 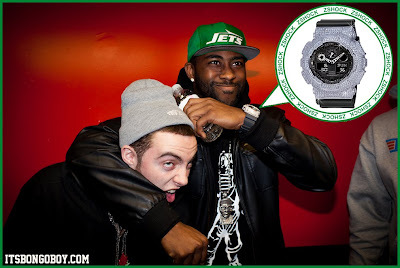 Darrelle Revis was spotted recently horsing around with rapper Mac Miller and peep Revis' wrist game. He is rocking the iced out Galactic ZShock, the largest ZShock bezel made to date for the largest G-Shock. Darrelle's custom joint has all the function buttons iced out as well. Shout out to John Geiger (@geigergeiger) and ITSBONGOBOY.com for the image. Team ZShock is in full affect! Once again ZShock has blessed another G-Shock collabo and made it greater (in our humble opinion). 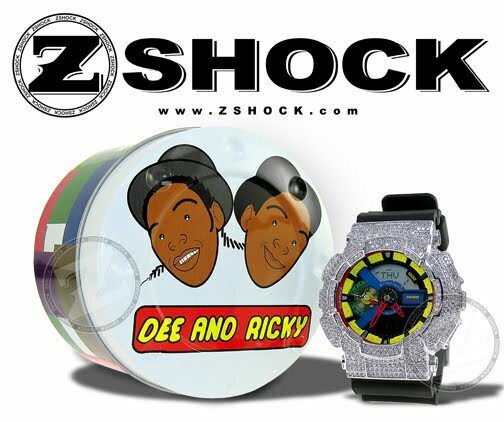 This time it's the Dee & Ricky G-Shock that we iced out with a diamond Galactic Bezel. We took a great idea and took it to the stratosphere. 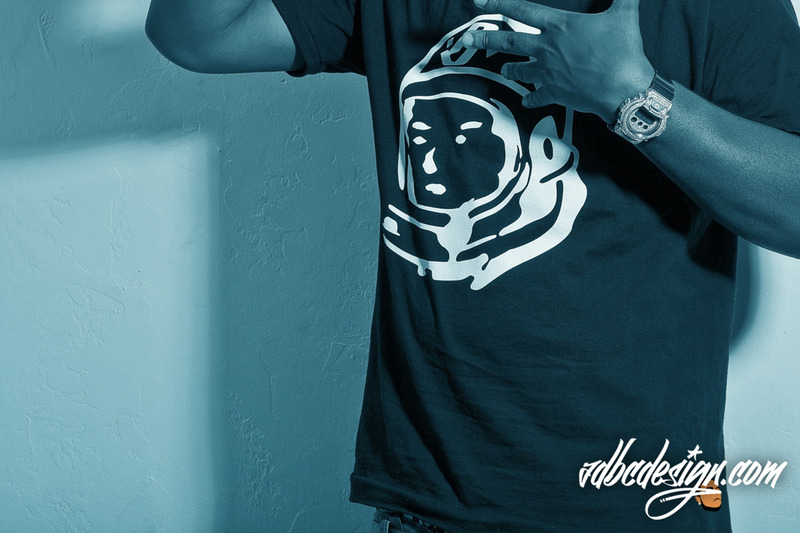 It's a classic Urban/Hip Hop look to match up the BBC tee with an iced out G-Shock by ZShock! The Pittsburgh kid known as Mac Miller just dropped his newest video for Knock Knock from his K.I.D.S. mixtape. The video is a dope concept and fun to watch. The finishing touch to a dope song and video is the ZShock on his wrist (lol).